On December 14, 1970, my mom and twin sister Tracy sat down to watch a new family Christmas special on television. It was Santa Claus Is Comin To Town. It was a big deal in the Miller household to watch all the Christmas shows. Andy Williams had a yearly one and Rudolph the Red-Nosed Reindeer and Frosty the Snowman were newly televised ones. 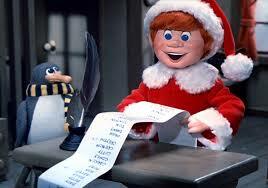 But with the just released Santa Claus Is Comin To Town, this one featured the voice talents of two of my mom’s favorites, Mickey Rooney and Fred Astaire so it was a sure bet, we’d be watching. After all, even at the age of five, Tracy and I were already familiar with MGM movies, which we love to this day (thanks mom). 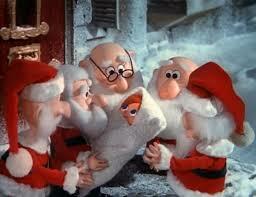 Today marks the 46th Anniversary of Santa Claus Is Comin To Town. This movie stirs fond memories for me of my childhood. And regardless of how old I get, I will always make a point to watch Santa Claus Is Comin To Town every holiday season.